Despite having been released in 1958, William Wyler's epic western, The Big Country, feels like a very modern rebuke of toxic masculinity. Gregory Peck stars as James McKay, a former ship captain who moves out west at the end of the Civil War, bringing with him a very different way of life to a foreign and unfamiliar territory. It is immediately that he does not fit in, making enemies of a suspicious ranch hand (Charlton Heston), and finding himself drawn into a bitter land dispute by his fiancee, Pat (Carroll Baker), whose father, Major Henry Terrill (Burl Ives), is a wealthy cattle baron. McKay's peaceful ways and his family loyalties are soon put to the test as the Terrills go to war over their land, leading to a violent confrontation that will change them all. Few actors have ever embodied quiet masculine dignity quite like Gregory Peck. Like his iconic Atticus Finch from To Kill a Mockingbird, McKay is a man looking for an alternate path, a calm, clear-headed man of principle who refuses to be swayed by the lawlessness of his environment. William Wyler directs the film with an appropriate sweep and grandeur, in keeping with the western standards of the day. And yet, Wyler has something else on his mind besides mere spectacle. It is a big country indeed, and it often dwarfs the figures Wyler places in the frame. Wyler subverts the western archetype of the lone gunslinger by making the lone gunslinger figure a pacifist. And although he does get into a few scuffles (including one memorable knock-down, drag-out brawl with Charlton Heston), it is ultimately his philosophy that wins the day in the face of violence and hatred. 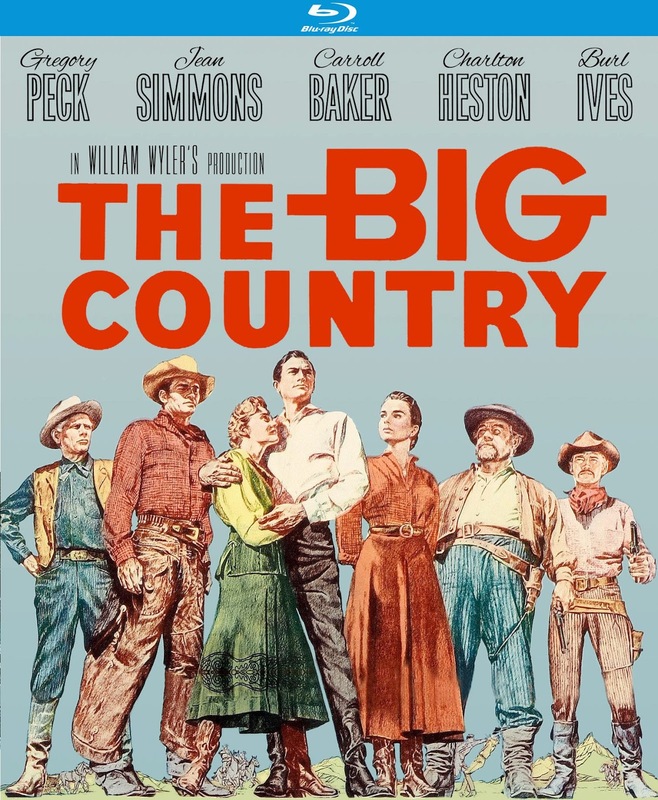 The Big Country is perhaps one of the finest Hollywood westerns of the period. Wyler explores themes of violence, pacifism, and the ripple effects of both, asking whether or not violence has any purpose in a modern, civilized world. The film looks especially good on the new Blu-Ray release from Kino Lorber, which does justice to the scope of Franz Planer's breathtaking cinematography, making it an easy purchase to recommend. Here, Wyler showcases our own big country by demonstrating just how very small we are in comparison, the violent struggles of a few mere blips on the face of the sprawling landscape. 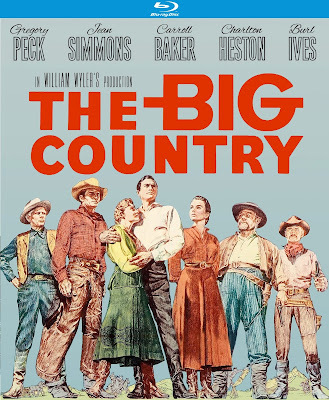 THE BIG COUNTRY | Directed by William Wyler | Stars Gregory Peck, Jean Simmons, Carroll Baker, Charlton Heston, Burl Ives, Charles Bickford, Alfonso Bedoya, Chuck Connors | Not Rated | Now available on Blu-Ray and DVD from Kino Lorber.